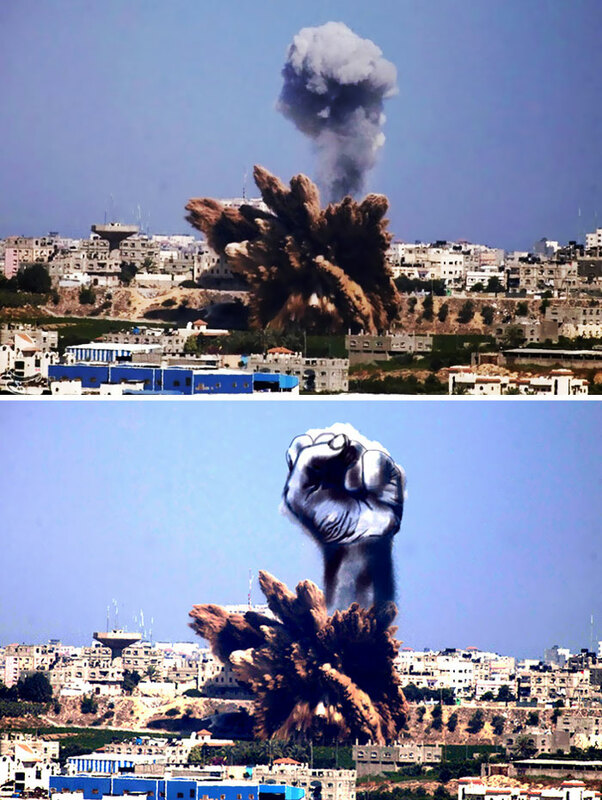 The conflict between Israel and Palestine has recently been escalated, but many supporters of both sides can agree that any innocent civilian lives lost during the conflict are a tragedy. 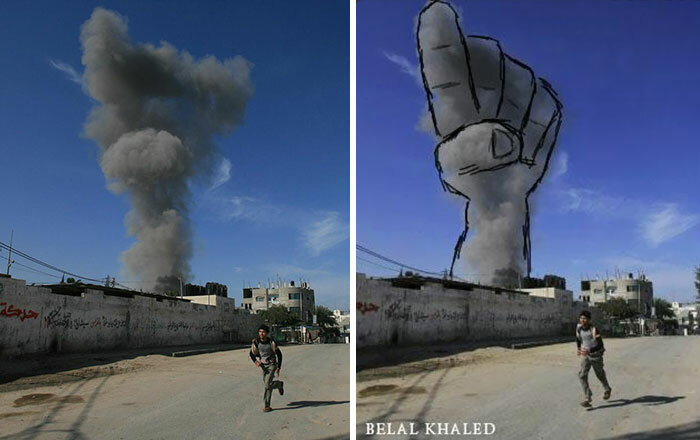 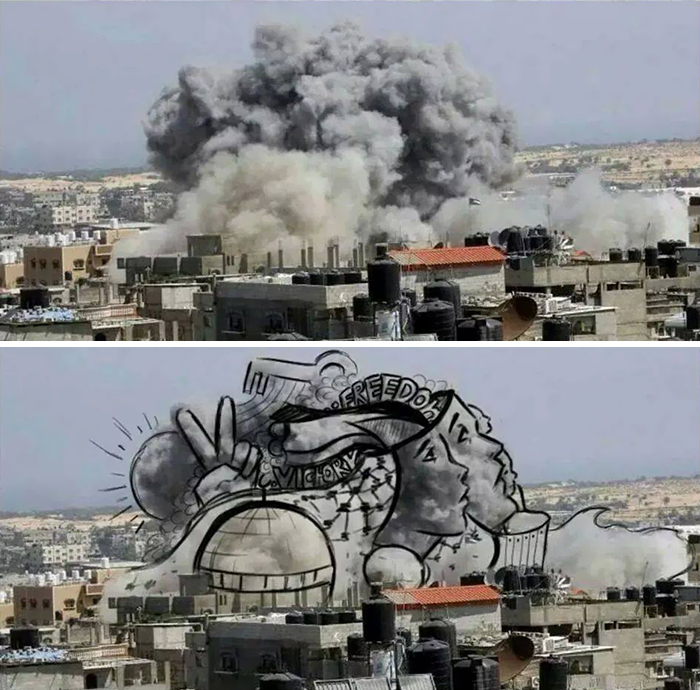 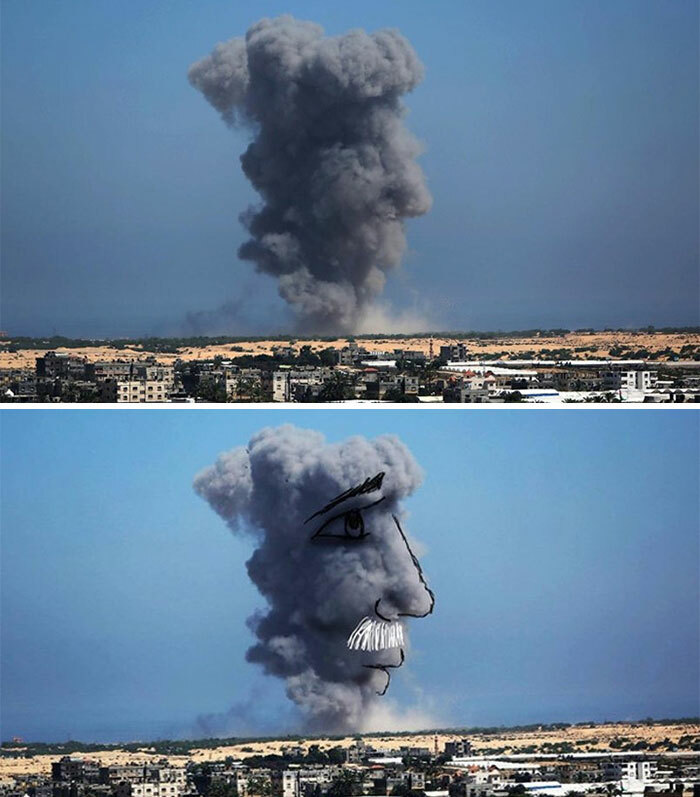 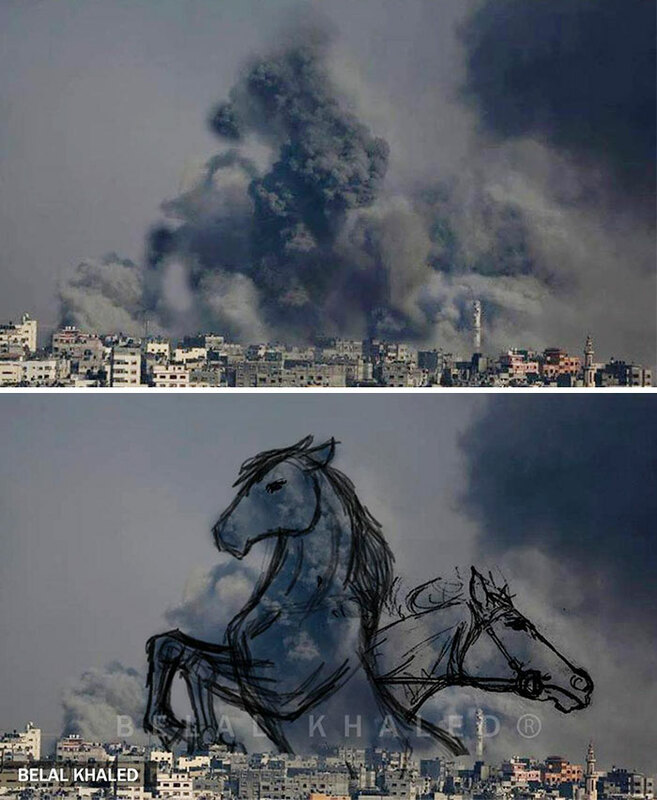 Several Palestinians have found their own way to grieve for the dead and to cope their strong emotions about the conflict – by drawing images that they see in the smoke rising from the sites of Israeli rocket strikes. 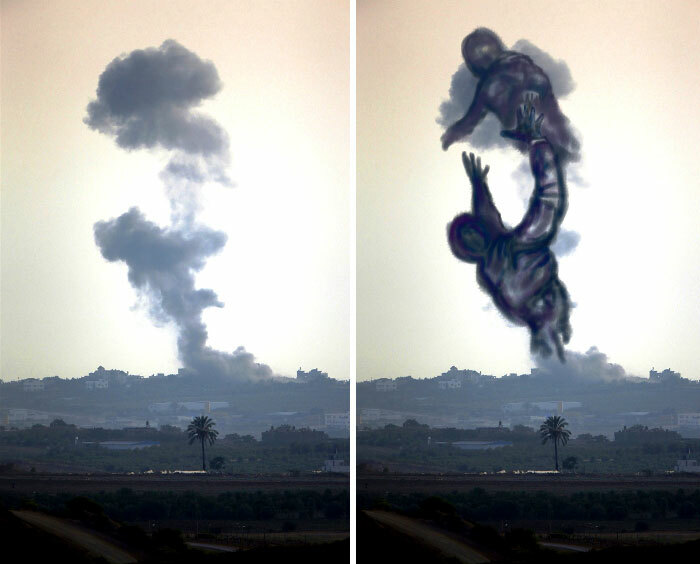 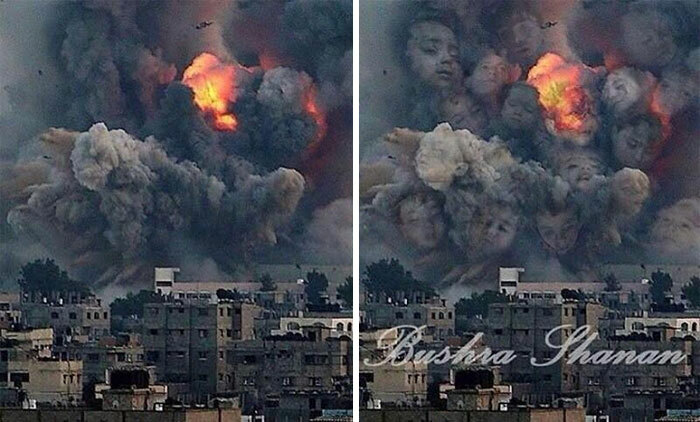 The images that they see in these violent clouds of smoke are shaped by their experience in Palestine – they are full of imagery usually associated with rebellion, resistance and grief. 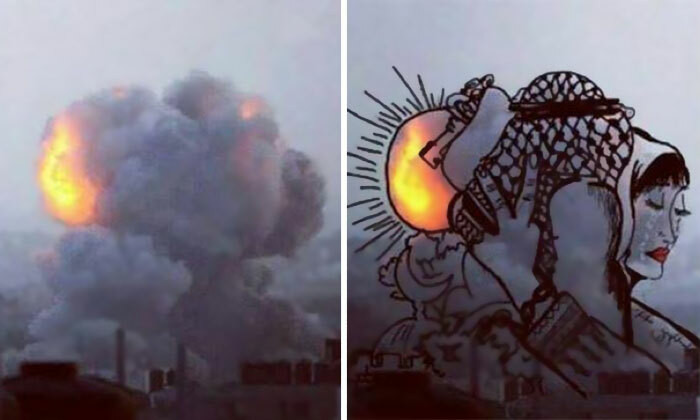 We can only hope that the current violent confrontation between Israel and Palestine comes to an end as soon as possible, for the good of innocent civilians on both sides.